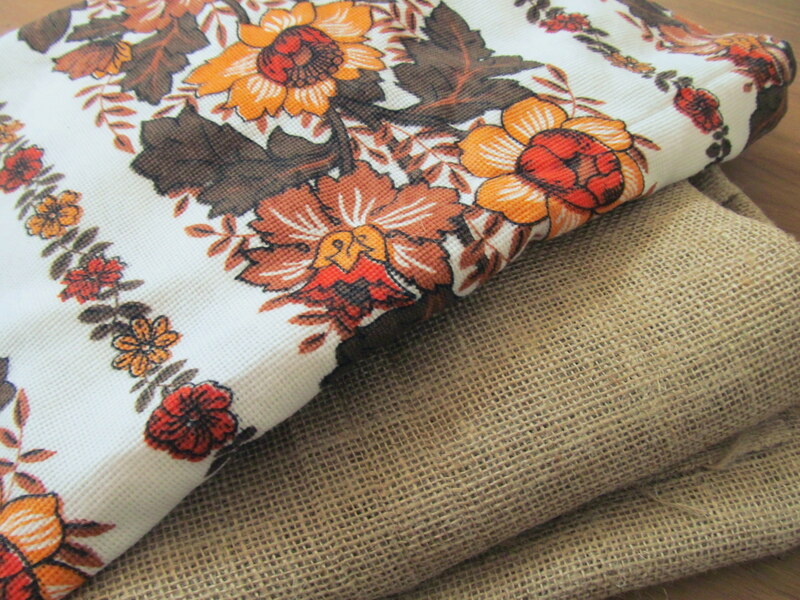 When my parents were cleaning out the shed they found these wonderful brown and orange coloured floral curtains. I loved the pattern so much, I figured I had to turn them into something! 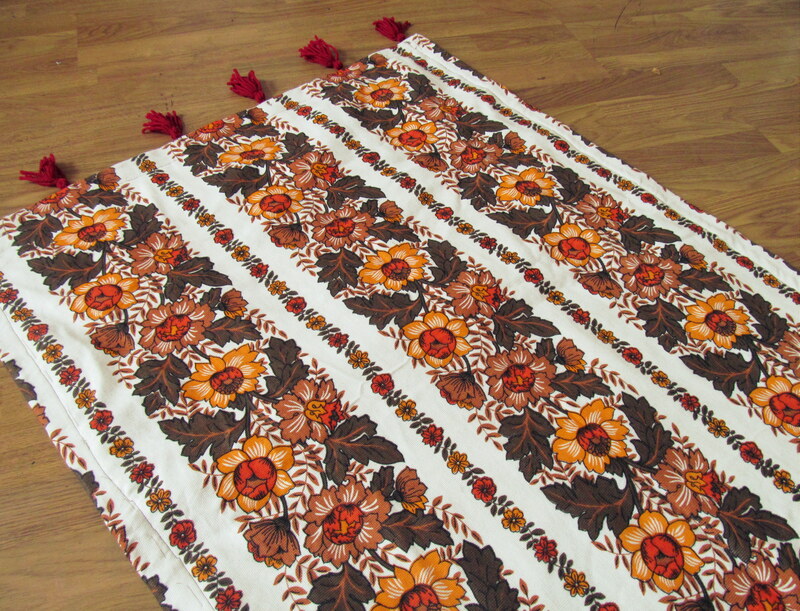 The heavy curtain material is perfect for a rug Although it seems like there are a lot of steps, it was easy to make and could be finished in an evening. Now I just need to find somewhere to put it! 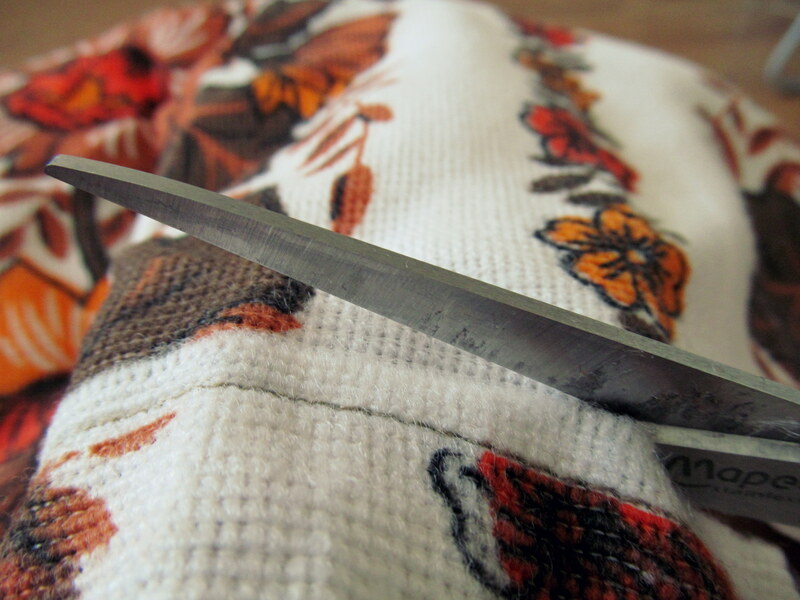 Step 1: Trim any hems off your fabric if it is second hand. Step 2: Cut out your base fabric so that it is a little smaller than twice the size of your patterned fabric (to make room for the hem) then fold your base fabric in half and sew the edges together. Step 3: Place your base fabric on top of your patterned fabric, and fold the edges of your patterned fabric onto your base fabric to make a hem. Sew the two together. 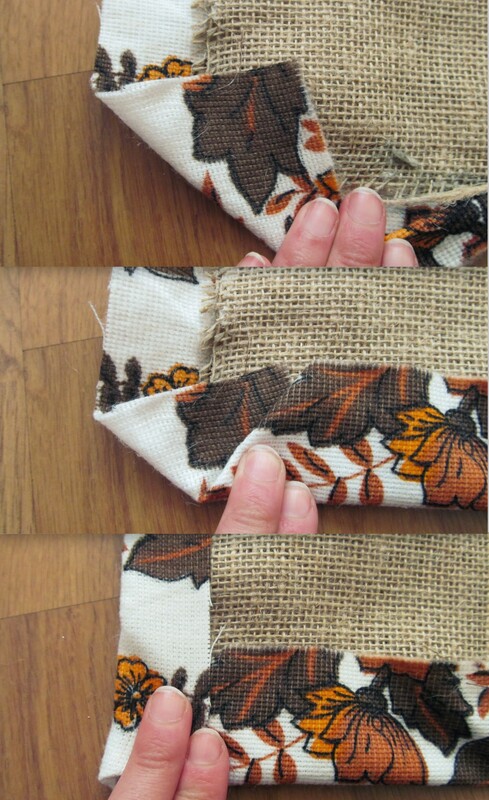 Below is a step by step photos for hemming the corners. If you want extra security, you can also glue the hem together. Step 4: Make your tassels! I made 6 tassels for each end of my rug. Below is a step by step on how to make tassels. I wrap the wool around my hand ten times, and then slide the wool off my hands and cut. I use the loose end to tie the top of the circle of wool, and then I cut the other end of the circle of wool. Finally, I cut a seperate piece of wool and tie it around the top of the bunch. I hope that makes sense! 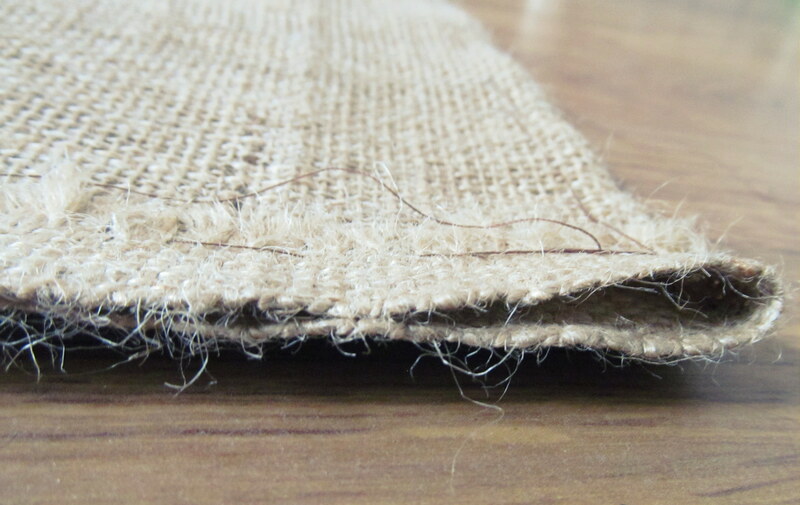 Sew your tassels onto the rug so that the loose thread is on the underside. Step 5: Run the whole thing through your sewing machine, and be sure to use a wide needle and a loose tension if your fabric is heavy! Ta da! 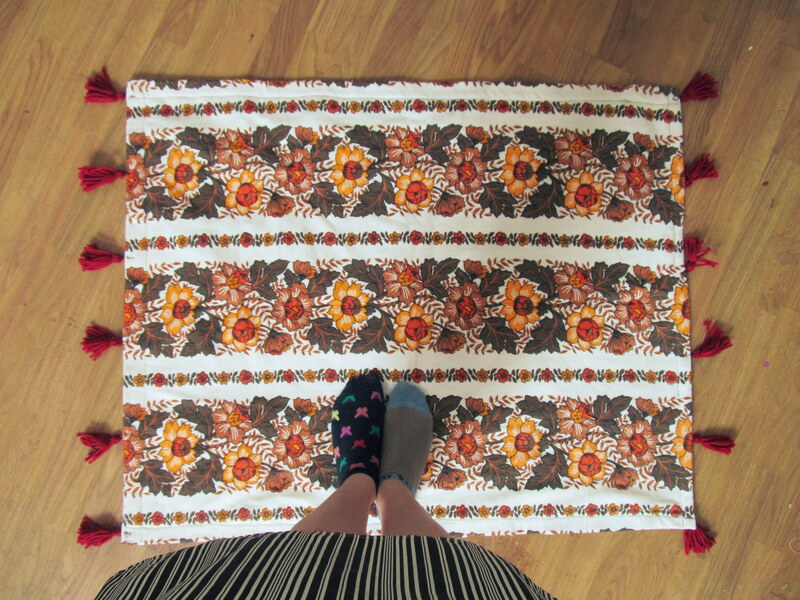 Here’s my new upcycled rug What do you think? (Excuse my odd socks.) Now I just need a nice new flat of my own to put it in. And maybe some more projects to do so that I can use up the rest of the curtains. It felt great to spend some time relaxing and doing some sewing in front of the voice. I hope you’ve had a lovely weekend. Ooh! This is lovely! What a great idea. Ooh, this is so adorable!! wow this rug is amazing ! WOW, you did a really good job! oh my you are so creative, but I am a little bit confious with the tassel. ho wto tie the last pict of tassel step? That’s very creative. And the print really is fun. Love it. Wow! How really clever and creative – I especially like the way the red tassels empahsise the bright colours. ohh, love the idea!!!! congratulations!